Ohio received initial approval of its Statewide Home and Community-Based Services Transition Plan from CMS on June 6, 2016. The transition plan describes the actions that will be taken to ensure compliance with the new regulations by March 2019. In Summit County, our annual action plan details initiatives that Summit DD takes each year to increase opportunities for people with disabilities. Some of our initiatives include increasing provider capacity and quality, developing plans and timelines for a seamless transition from services, increasing our investment in transition age youth, enriching service planning and supporting our staff through Our Journey Forward. 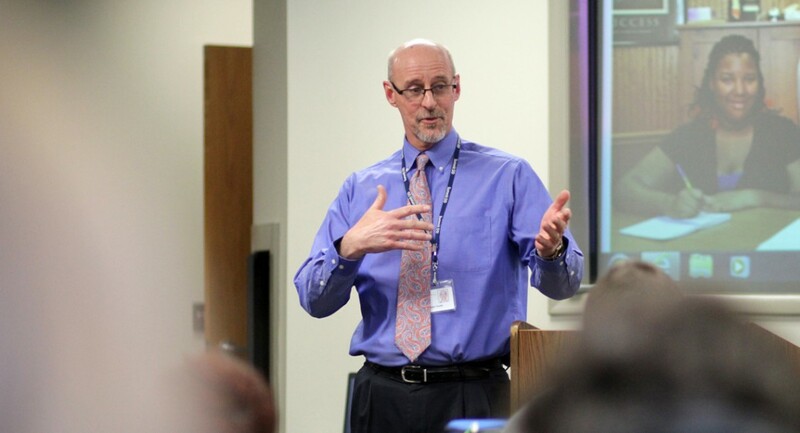 “Our Journey Forward is about creating even more choices and opportunities for adults and children with developmental disabilities,” said Summit DD Superintendent John Trunk. “There is a culture of innovation in Summit County and we continue to invest in best practices that will move us forward,” Trunk continued. Most day program settings in Summit County already meet the requirements of the new CMS rules, or will require very few modifications to meet the rule. The new CMS rule is more about what a person experiences rather than the physical location itself. Providers are required to offer opportunities for all individuals served to get involved in meaningful activities in their communities. This could include community employment or participating in community-based events or activities. This rule does not require workshops to close; does not require every individual to be employed in the community; and does not mean that people will be required to spend 100 percent of their day in integrated settings. People may get involved in community employment and/or other community-based activities based on their interests and desired level of involvement. Summit DD has developed several best practice committees with our partner providers to establish best practice standards with which all providers agree to create a meaningful day for individuals we support. We have recruited new providers into Summit County, while other providers have expanded their services and offerings. “Our goal is to provide as much choice for individuals as possible,” stated Director of Community Supports and Services Drew Williams. “If someone wants to try something new we want to make sure those options exist, however if they want something very similar to what they currently have we have enough capacity for that as well,” Williams continued. “What we have experienced is that students who will be graduating over the next several years want a service that looks different than a typical day program looks today,” stated Williams. Summit DD has invested in several partnership and collaborations that support transition services earlier in a student’s education to prepare students for life after graduation. Programs, such as the Summer Youth Work Program, will extend employment opportunities to students and will positively impact employment outcomes. “We’ve partnered with local school districts to develop a transition framework,” stated Williams. “Once we pilot the framework and track student outcomes we will be able share these best practices with school districts throughout Summit County,” continued Williams. Although Ohio already received an initial approval, final federal approval of Ohio’s Transition Plan will follow the completion of several activities required in the plan, including an assessment of all settings and a remediation strategy to resolve any site-specific issues identified in the assessment. Earlier this year, Summit DD released the Agency’s timeline for the phase out of federally funded services, such as community employment, day programs and transportation services. Akron Center, the first of several phases of transition, closed on June 30, 2016. Summit DD staff collaborated with individuals, families, staff and providers to make this transition as seamless as possible. “Some people chose to try something new, such as community employment or integrated senior programs, however, most individuals found a program that looks very similar to the one they experienced at Summit DD,” continued Williams. “I couldn’t be prouder of our team of dedicated employees here at Summit DD,” continued Trunk. The next centers that are scheduled to transition are Summit DD’s Southern and Ellet centers by June 30, 2017. Teams have already started meeting with families to plan those transitions.